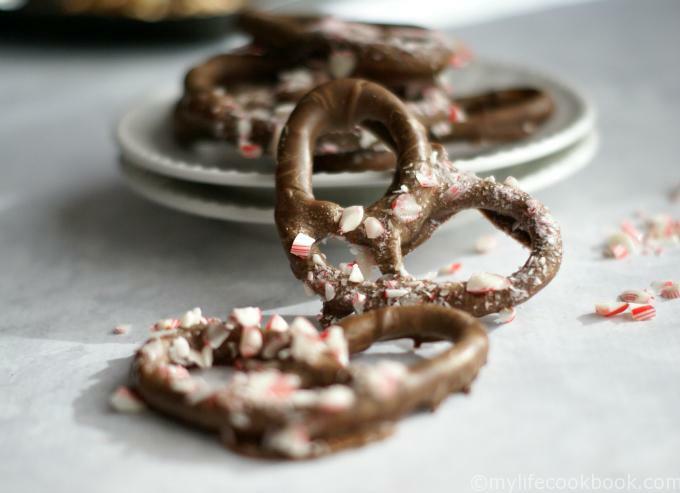 These easy chocolate covered pretzels make a great homemade Christmas gift. Everyone loves chocolate covered pretzels! This year I am trying to scale back for Christmas. I have over 50 people on my Christmas list and I thought maybe things are getting out of hand. One idea I had was to make/bake something for my neighbors this year. I’m a food blogger, I can handle it. Then I remembered that I am not a very good baker and so that narrowed my options. 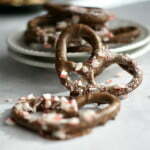 I settled on these easy chocolate covered pretzels. Yeah I can do that! Who doesn’t like a good chocolate covered pretzel? Yes this is an easy recipe but you can be so creative with these by using different coatings and toppings. For my first batch I added a bit of toffee bits to half of the batch and crushed candy cane to the other half. Just take a walk down the baking aisle of any grocery store and you will see tons of items to make your pretzels tasty and unique. At Aldi they even have pumpkin chips that you can dip yours in. 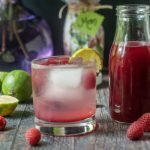 How yummy is that? And the recipe is really simple. I melted chocolate bark (a baking chocolate that I got at Aldi) in a ceramic bowl in the microwave. It only takes 1-2 minutes to melt. Just make sure that most but not all the chocolate is melted because once you start stirring it will be the perfect consistency. If you let it go too long it will burn and be all lumpy. 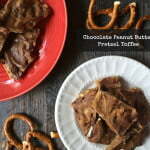 Then you just dip your pretzels in the chocolate and flip using a fork. After you have it coated, lay it on a cookie sheet that is covered in wax paper. Immediately add your toppings to the wet chocolate so it will stick. Let set until the chocolate is hard. If you can’t find the baking chocolate that I got and used from Aldi, there are lots of cool chips that you can find in the baking aisle such as peanut butter chips (these worked great for me), white chocolate chips (these didn’t work for me), butterscotch and your regular chocolate chips. You can also try melting chocolate that comes in disks. I hear these work very well too. Or just grab one of these on Amazon. 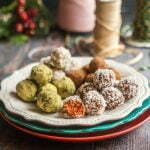 As for toppings, you can also find plenty of choices in the baking aisle such as nuts, Andes mint pieces, Heath pieces, toffee bits, coconut, or you can use any kind of candy you like such as the crushed candy canes. These take only minutes to make and with a cute little tin from the dollar store and nice tissue paper, you have a sweet (pun intended) Christmas gift for teachers, friends and neighbors. 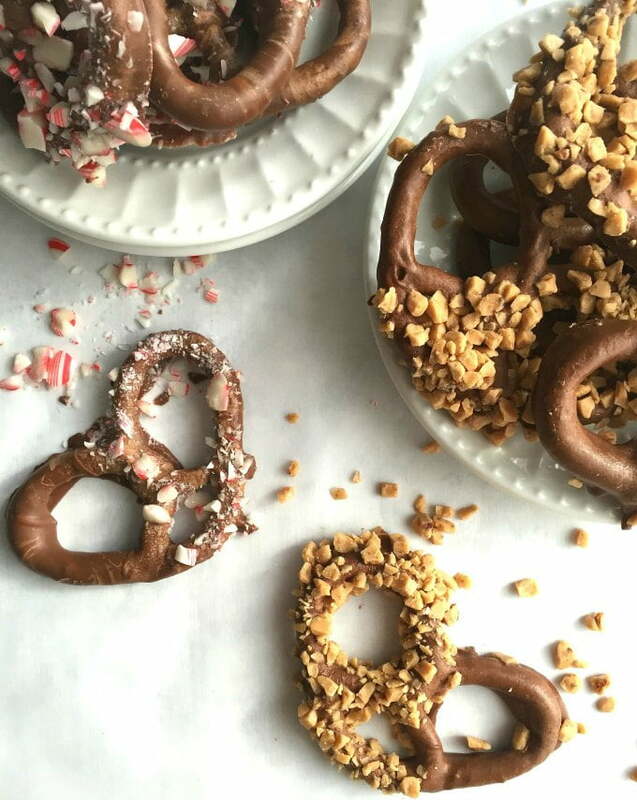 If you have any good suggestions for these pretzels, please drop me a line and let me know what you use to make your chocolate covered pretzels. Enjoy! Place your chocolate in a microwave safe bowl and heat for 1-2 minutes. Make sure the chocolate is not fully melted. Start stirring and it should melt completely. Be careful not to overheat or burn. Dip your pretzels in the chocolate using a fork to pull out and drip any excess. Place on a cookie sheet with wax paper. Add toppings to the wet pretzel. Let dry for about 30 minutes. Store in a closed container or freeze. 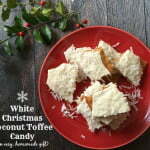 More tasty gifts to make! How about course sea salt? Or holiday sprinkles? 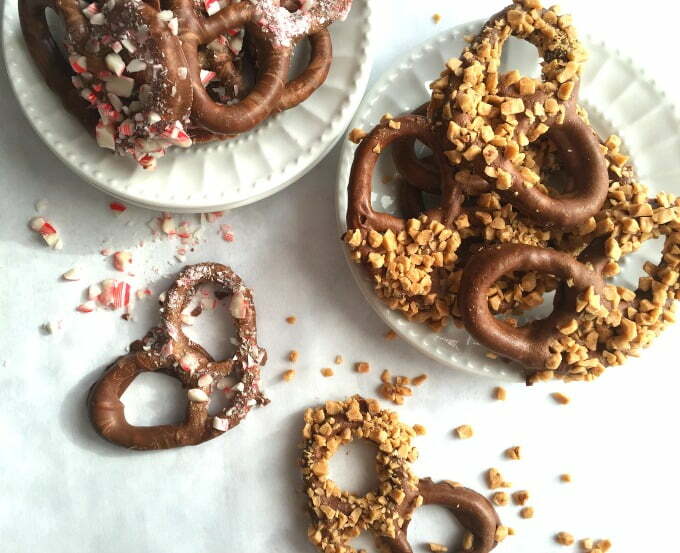 Yes, you can use sea salt or holiday sprinkles. Basically anything you want! Glad you like this idea Anna Mary! We liked them! 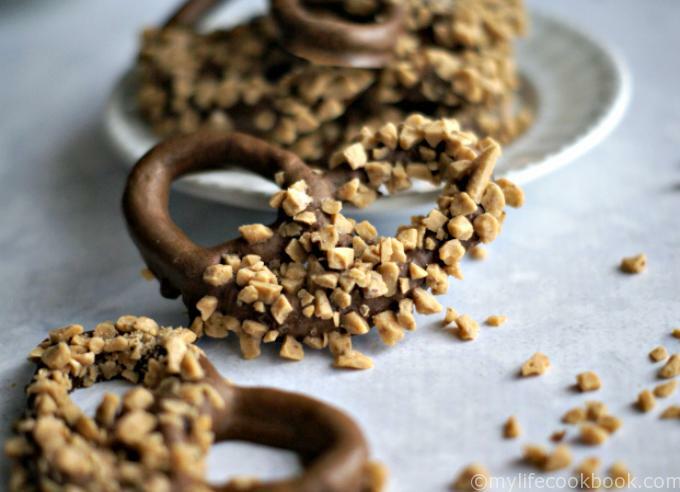 I LOVE chocolate covered pretzels, these look so good! Thanks for sharing at What’d You Do This Weekend? !